#CarlosDinares talking about @rowperfect this club is amazing they have 7 RPs. Now as you probably know, all the scores on a Rowperfect are weight and boat class-adjusted. So you can see your predicted on-water times as 500m splits. Using the 2k prognostic times link above, you can easily see if you’re in the hunt for medals. Any readers got insight they can add to solve this conundrum? 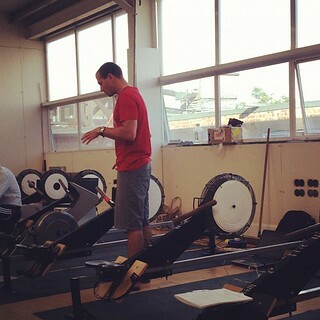 This entry was posted in Ergo, Features, Masters and tagged Erg, rowing, Rowperfect. Lewin – thanks for sharing the spreadsheet.